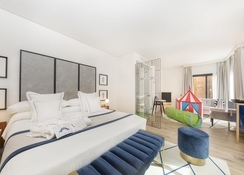 Enjoy your stay in Tenerife at this wonderful family-friendly hotel – Be Live Experience La Nina. The hotel offers two swimming pools for adults and one for children; one of adult pools is heated during the winter. Here you can indulge in sports like squash, billiards, table football, as well as ping pong. Children too can have their share of fun at the mini-club that is overlooked by the hotel staff. The hotel features two exuberant restaurants that offer breakfast, lunch and dinner in buffet style. Guests can treat themselves to snacks between meals and visit the pool bar, where barbecues and snacks are served. 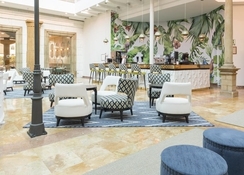 Be Live Experience La Nina also features a lobby bar. Rejuvenate yourself at the spa area with Turkish baths, massages, a sauna or Jacuzzi session. The beach is about 250m from the property. 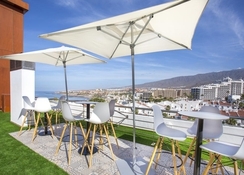 Tenerife south airport is a 20km drive from Be Live Experience La Nina. The nearest beach is La Pinta (250 metres), filled with numerous water sports and sun loungers. Playa de Fañabé is about 500 metres with a beautiful beach and loads of beachside bars. Centro Comercial & Ocio Gran Sur with showrooms and movie theatre is about a kilometre from the hotel. San Eugenio is another shopping mall with several shops (with duty free goods), cafés and restaurants with takeaway menu, etc., is only 600m from the hotel. Siam Park is about 3km. 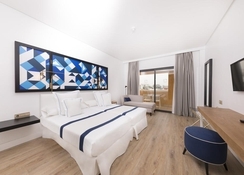 Guests can choose from 226 guestrooms divided into five different types: Superior sea view adults club, promo, double room, double sea view and family room. All guestrooms come with all the modern furnishings such as iPod/MP3 docking station, internet access, coffeemaker, etc. The rooms either come with a double bed or two single beds, balconies opening to the sea or garden, mini-refrigerator, en suite bathrooms with bathing facilities, etc. Superior rooms have additional facilities while a few services can be availed at an extra cost. Housekeeping is done regularly to make sure that your stay is peaceful and relaxed. 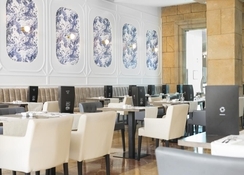 The main buffet restaurant at Be Live Experience La Nina offers a large variety of delicacies chosen from various international cuisines with a touch of local Tenerife flavours. Apart from regular breakfast, lunch and dinner buffets, the restaurant also features display cooking, themed nights and an impressive list of local and international wines. The lobby bar Drago serves a gamut of beverages with light and soothing music running in background while the poolside bar Choza offers delicious cocktails. In addition to these on-site facilities, guests can also enjoy a variety of food at nearby restaurants and street cafes. 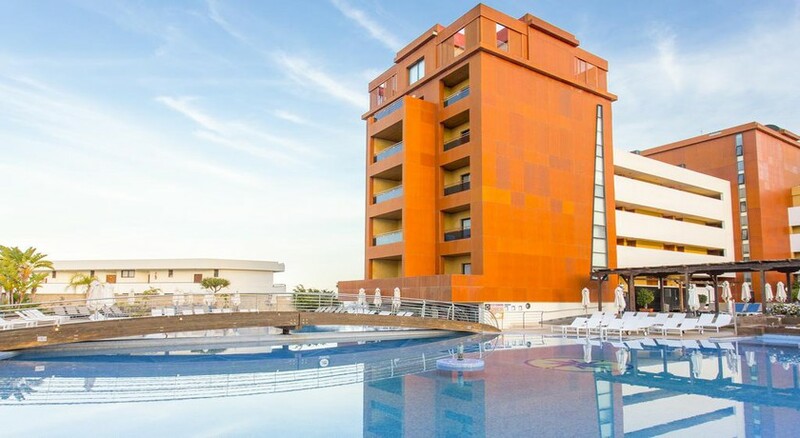 Be Live Experience La Nina offers many recreational activities that involve two outdoor swimming pools, a children’s pool, indoor & outdoor sports, water sports at the beach, a fitness centre with modern machines, spa with body and beauty treatments, etc. In addition, there is a mini-club, for children, that offers various activities such as animation, disco, etc. A 27-hole golf course is close by (about 3km). For those interested in shopping, Los Cristianos (about 6km) is an area that features several local shops selling ethnic products. Lovely clean hotel, friendly staff, good food, perfect location for shops, beach and bars. Children friendly we enjoyed a great family hotel. 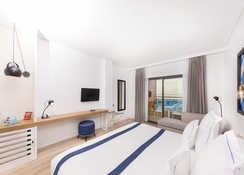 Great hotel, newly refurbished. Close to the beach. Reccommended!